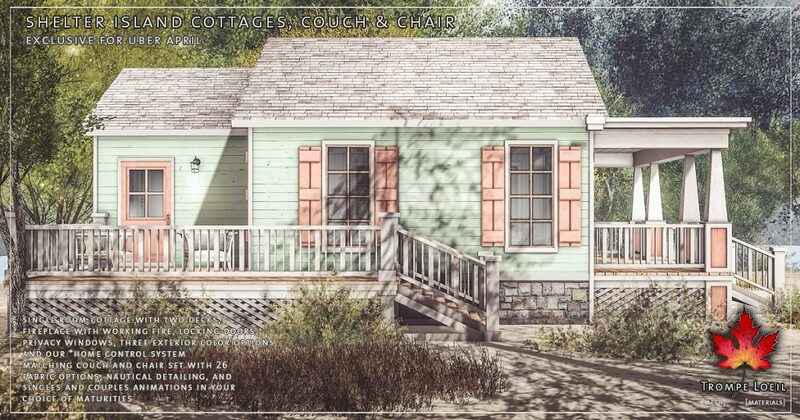 This Hamptons getaway is all about comfort – get high-class cozy with the new Shelter Island Cottages and matching Couch and Chair set at Uber April! 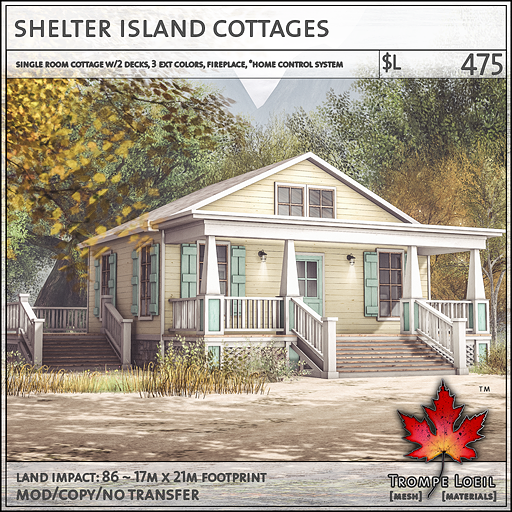 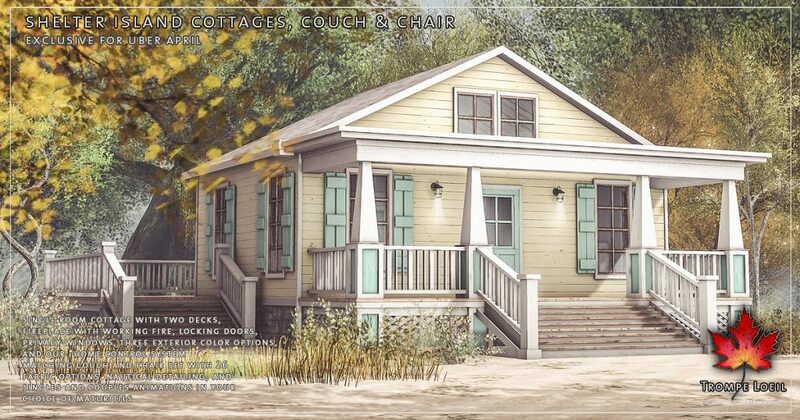 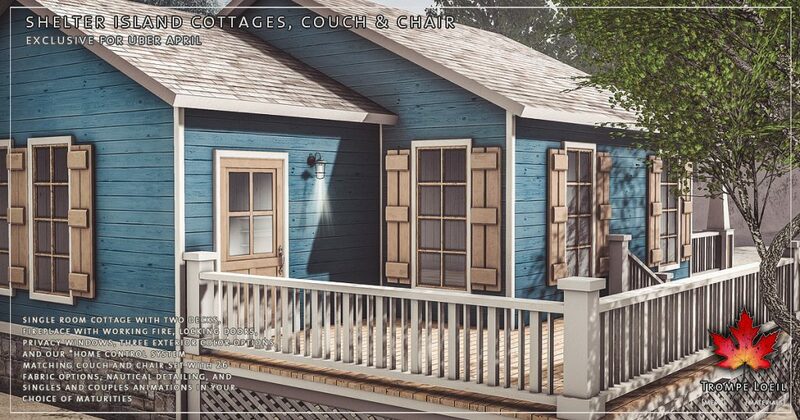 The Shelter Island Cottages are a single room build with two expansive decks perfect for entertaining, working fireplace, three exterior color options included, privacy windows, locking doors, and our *home control system. 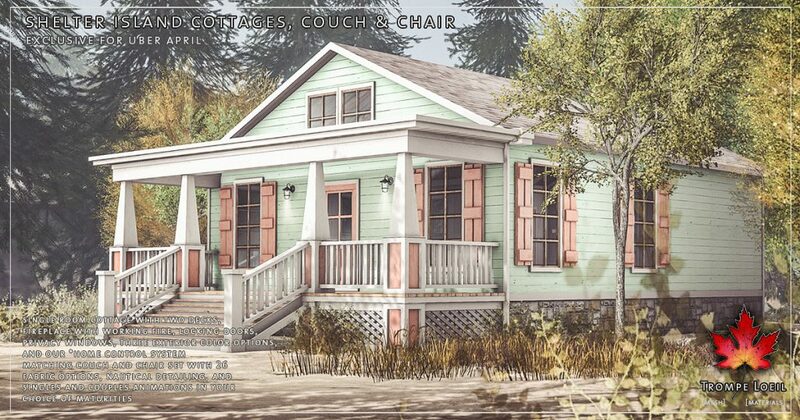 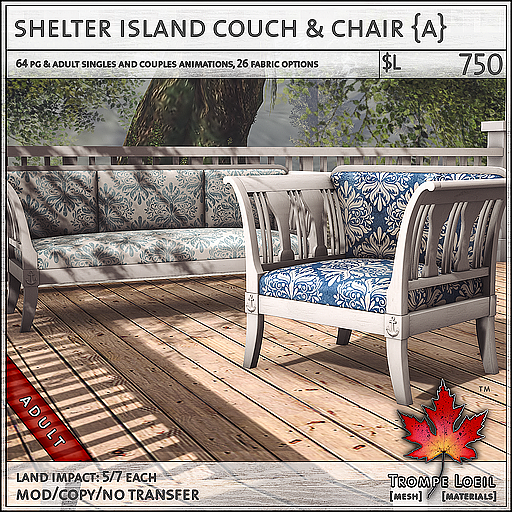 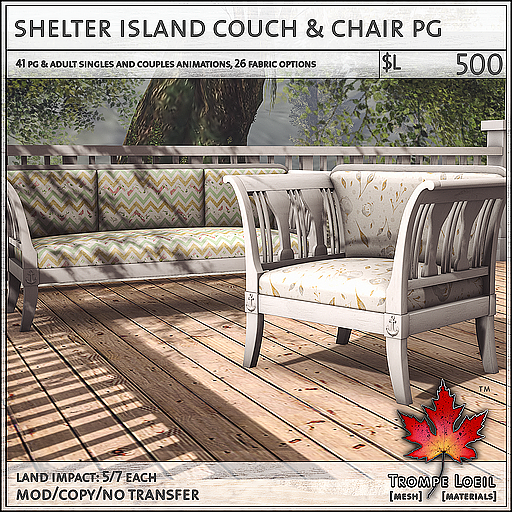 Plus, the matching Shelter Island Couch & Chair set bring seaside flair and nautical accents to your deck with 26 new patterns on touch menu and your choice of maturities for singles and couples! 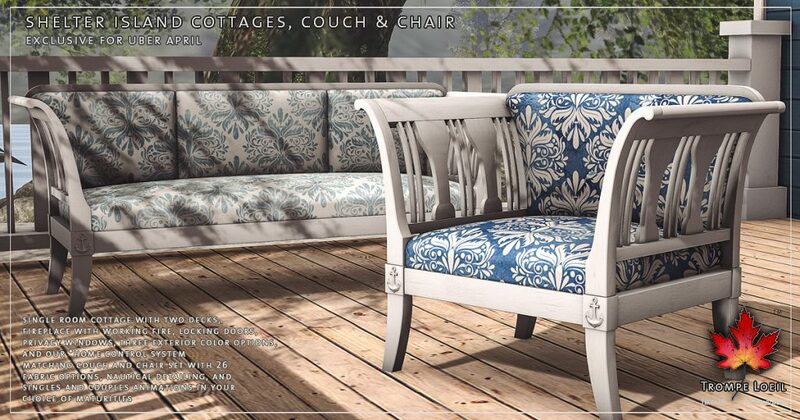 Only at Uber’s April round!